Your vehicle’s engine is perhaps its most complex internal machine. That being said, it’s easy to feel bewildered by the sight of the Check Engine Light, as it’s tough to determine the cause at a glance. Luckily, Porsche Fremont near San Jose has you covered! Our state-of-the-art service center is staffed by Porsche Certified Technicians who use only OEM parts and fluids. We’ll conduct a detailed inspection of your vehicle’s engine, and provide you with a Porsche Check Engine Light diagnosis, keeping you informed from start to finish. What Could the Check Engine Light Mean? Oxygen Sensor: The oxygen sensor keeps track of unburned oxygen in the exhaust system. Without a fully functioning oxygen sensor, you’ll likely experience a significant drop in fuel economy, as well as damage to other crucial engine parts. Spark Plugs/Wires: Spark plugs and plug wires work in tandem; the spark plug ignites air and fuel in the combustion chamber, while the plug wires carry the ignition coil’s spark to the spark plugs. If you’ve noticed lessened performance, one or both of these components may be the cause. Catalytic Converter: The catalytic converter transforms CO into CO2, making it crucial to the environment and your car’s performance. A malfunctioning catalytic converter can heighten harmful emissions, reduce fuel economy, and put your vehicle at greater risk of overheating. Gas Cap: The gas cap retains much-needed pressure inside the fuel tank, and like the catalytic converter, protects the atmosphere by reducing fumes. The Check Engine Light could be trying to notify you that this small yet crucial component is loose or lost. Engine problems can stem from any number of causes – many of which are small and seemingly inconsequential. This is where the expertise of a Porsche Certified Technician comes in. To reach a Porsche Check Engine Light diagnosis, we’ll perform a full-fledged inspection under the hood. Our technicians know their way around every Porsche vehicle’s engine – yours included. If a component, such as a spark plug or catalytic converter, needs replacing, we’ll pull from our extensive selection of OEM parts, ensuring maximum performance and reliability. 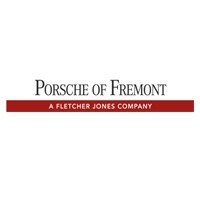 We’re Alameda County’s Porsche Specialists! If your dash is displaying the Check Engine Light, hurry over to Porsche Fremont near Palo Alto for fast, knowledgeable service. To schedule your appointment, contact our service center at (510) 279-7060, or visit our dealership at 5740 Cushing Parkway in Fremont, CA. If you have any other questions, including questions about the Porsche warranty, please do not hesitate to ask!